Last week, 8 Limbs, along with a handful of other Seattle area yoga studios*, hosted a cultural competency training for yoga studios, teachers and staff. 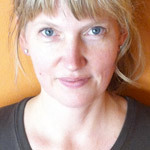 The decision to pursue such a training was born out of a number of factors: racially-inspired incidents this past Fall in the Seattle yoga community; an increasing un-ease with the lack of diversity in yoga and our own distinct role in that lack; and being part of a dynamic regional community willing to dig deep and get uncomfortable in order to truly bring to life the values of yoga. The 3-hour training was led by Caprice Hollins; a woman with a lot of spark and an ability to tell it like it is with compassion and humor. Hollins also possesses a keen capacity to help people look both within and outside of themselves in ways that encourage racial cognizance and foster individual and collective capacity to make positive cultural changes in our community. There are many things that transpired during that 3-hours that stand out in my mind but one in particular relates to what Hollins had to say about “safe spaces.” Hollins made it clear that in her role as a trainer in cultural competency she can’t in fact ensure safe spaces, the work involved in cultural competency is too charged and is tethered to countless forms of bias, conscious and unconscious. Engaging in those types of dynamics is simply not always going to feel safe. Why this stood out for me is that just last month I spent an entire day facilitating the annual admin staff retreat for 8 Limbs around the theme of helping 8 Limbs to be a “safe space,” a place where we can all hold difficult yet important conversations. What Hollins proposed over striving for safe spaces was to cultivate “brave spaces.” A simple one-word change but what a potent one word it is. According to the Oxford dictionary the word brave used as an adjective involves a readiness to face or endure pain. It’s an active willingness to be or act in the face of discomfort. And it’s that quality, that active willingness or readiness, that captures the underlying spirit of how the training came about to be and the higher intention of what 8 Limbs is aiming for in fostering space for difficult conversations. Deep in our hearts I think we want to believe we can actually make the world and 8 Limbs safe. At least I want to believe I can make 8 Limbs that safe. But the reality is I, and we, can’t guarantee everyone is always going to feel completely safe. And we haven’t failed if we can’t achieve that. Sometimes we will foster a sense of safety no doubt. What Hollins and this training helped me to appreciate is that when we dig deeper into what’s really going on, what we’re really inviting people to do is to be brave. We’re trying to show up in brave ways to create a space where further dynamic bravery can emerge in the face of charged conversations and uncertainties. The work involved in cultural competency mirrors that of yoga. It’s about practice, committing to showing up on the mat or in the midst of others week after week. It’s about remaining open to change and to openheartedness. It’s a process of exploration, growing and evolving. In this context, for me this week that has meant being open to further depth and clarity around the work involved in difficult conversations. It’s about recognizing Hollins’ insight, safe spaces can’t always be ensured but brave spaces are something we can aspire to and bravery is something we can honor. As I wrote about last month, during our admin retreat we developed a list of Trust Agreements to support difficult conversations. Today I’d like to share them with you but within a slightly refined context. These trust agreements may in fact help 8 Limbs to be a safer place to have difficult conversations. 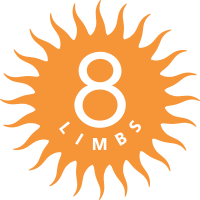 What I’m especially excited about today is the ways they might help foster 8 Limbs as a brave space, a space where we’re ready and willing to face discomfort in the name of community. Handle Our Own Business – Do our personal and professional due diligence to show up in conversations from a constructive stance. Be Willing to Say No, or Not Now – Sometimes we have to say no, or not now, in order to handle our own business or in order to respect the bandwidth and business of others. Engage Active Listening – This means being willing to pause and take a breath, being willing to hear no or not now and paying attention to when someone else’s body language or demeanor is expressing something important. Tap Into Support – Whether from your practice or your colleagues, seek out the help needed to enter conversations with sufficient capacity and respect. Facilitate Mutual Gain – Rather than insisting on having a tough conversation, seek mutual consent and actively consider the valid and underlying needs of those you’re talking with. Demonstrate Discernment – Find private spaces for private conversations and carve out ample time for complex conversations. Create an Out – We can all get overwhelmed from time to time; develop a safe word to share with others to help you pause when you’re getting unconstructive and be willing to make space for others to take a break as needed. Foster Saucha – Initiate or seek clarity on next steps and take the time to build your next steps into your schedule. That is, cultivate accountability and clarity by dotting i’s and crossing t’s. * 8 Limbs partnered with Be Luminous Yoga, Lotus Yoga, Rainier Beach Yoga, Twist Yoga and Two Dog Yoga to host Caprice Hollins and the Cultural Competency training.